Help the poor Batman to save his girlfriend! She is in real jeopardy! Do not waste any minute and click on different objects to use them and interact with them! He just wanted to spend this evening quietly, unfortunately, it was impossible! This quite strange dungeon is waiting for you! You should help a plumber to complete all levels and to get out of this dark sewer. Use the water jetpack to fly through the parkour. Dodge deadly spikes as you try to reach checkpoints at the coolers to refill your water reserve.You have a tank with water behind your back and a powerful pump! 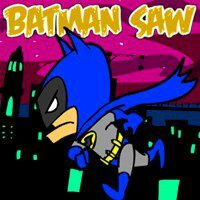 Avoid saws, show your skills and solve puzzles! This is really cool game with many levels and combination of skill levels and puzzles. Of course, you will love the stylish pixel graphics. That is why, you can be sure that this game will bring you much fun!